Developer/Owner: Pensocola 801 Inc./U.S. National Housing I.L.P. Lender: S.B.C. Warburg Dillon Read Inc. 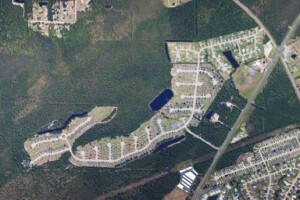 Features: Three Waters Green was designed to provide an attractive, high quality and private living place for Navy families assigned to nearby Pensacola Naval Air Station. All of the single family homes are of brick construction and are located on separately platted sites. The community features large open landscaped grounds, adult recreational facilities and tot lots throughout.